ParkingEye kicked out of Fistral? 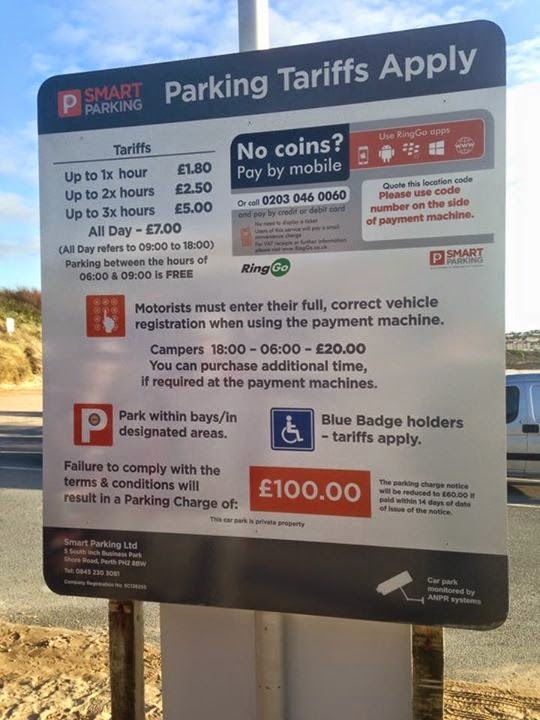 ParkingEye have apparently been kicked out of Fistral Beach, with Smart Parking taking over. ParkingEye caused great misery at this car park, with confusing and inadequate signage ensuring a steady revenue stream for parking infringements. The change between summer and winter tarrifs was also a great source of confusion to motorists and profit to ParkingEye. The Prankster will investigate the new signage to see if an improvement has occurred - however, perhaps the best way to determine this would be to keep an eye on the forums and see if complaints about bad signage at this car park decrease. The fund was largely filled by ordinary motorists chipping in between £1 and £20, although there were also some larger donations. The fact that the fund was filled so quickly shows the strength of feeling the ordinary person has on this subject. The Prankster feels strongly that parking regulation is needed, but also that there is no need to bend the rules to achieve this. Parking charges at council fine levels (£25) have been shown to work, and co-incidentally are also at roughly the level of a pre-estimate of loss. There is therefore no need to re-interpret the law; the current law works. 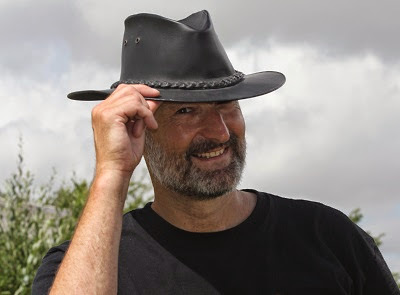 Barry Beavis has launched an fund to commence his appeal against the recent Court of Appeal ruling. He needs to raise £1,600 to lodge the notice of appeal and a further £4,500 to lodge the Appellant's bundle. The appeal needs to be lodged within 42 days of the judgment. 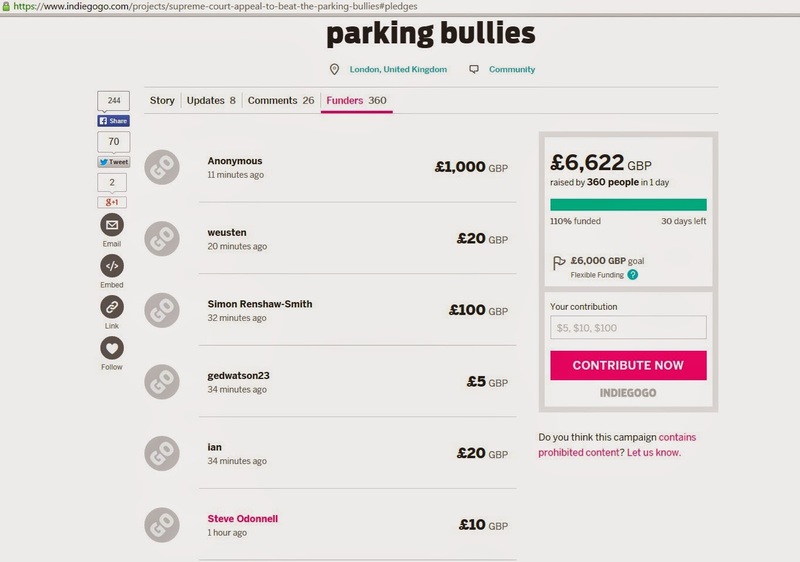 If 600 motorists donate £10 each, the fund will be raised. At the time of blogging 2% had been raised. The Prankster will shortly make his own contribution. The Prankster views this as an important test case to stop the 'cowboys' in the parking industry. Contributions can be made at this link. Please share this blog and link on facebook. The COA have neatly sidestepped the fundamental question of the appeal, which was whether penalties could be commercially justified. Instead, they have ruled that PE’s charges should not be treated as penalties, and therefore unenforceable, because the level of charge is not ‘extravagant and unconscionable’ which they say is the true test of whether a clause is a penalty. Charges in line with council charges are acceptable. They also say that there are social, or public policy, reasons why the charges should be enforced, because if they were not, the spaces in the car park would become unavailable for customers. They also say that PE would suffer a likely loss of contract with the BA Pension Fund if they were unable to perform the contract with them. (The Armageddon scenario). It is also stated that the contractual arrangements between PE and the landowner are irrelevant for the purposes of this decision, so that blows the ‘fishing licence’ argument out of the water. They have also said that the signage most likely creates a bare licence rather than a contract, although it was not in their remit to rule on that, but in any event the outcome would have been the same. Their lordships thought the charge may actually be a contractual charge, rather than a charge for breach of contract. Their lordships thought this would make no difference but forgot that contractual charges attract VAT. This would therefore destroy ParkingEye's business model and require them to stump up significant backdated cash and penalties to HMRC. Mr Hossain has prepared a submission requesting leave to appeal to the Supreme Court, Mr Kirk has made a submission opposing it, and the CA have sent in a statement supporting Mr Hossain’s application. Permission to appeal was granted. 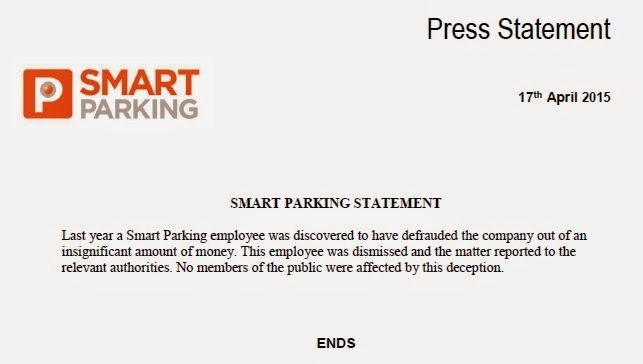 The Parking Prankster has been informed of a fraud operated inside Smart Parking. The scam apparently involved cancelling parking charges, but instead of refunding the charges to the motorist, 'refunding' them to their own pockets instead. Strathclyde police were called in to investigate, but Smart Parking decided not to press charges due to the embarrassment this would cause. During the relocation of the headquarters from Perth, everyone involved 'left' the business. The Prankster contacted Paul Gillespie, Group Chief Executive Officer, to verify the story and he responded with the following press release. The Prankster was concerned that motorists who should have had their appeals upheld were not receiving their refunds. However, it seems as if this is not the case and either the appeals never would have been upheld in the first place, or the motorists have since been contacted and refunded. The Prankster was also informed that 80% of Smart Parking business is with ASDA, so it is likely that some ASDA customers would have been affected. The Prankster understands that ASDA have already been contacted and informed no ASDA customers were out of pocket. The Prankster has been informed that Smart Parking charge ASDA nothing for their services, and instead take 50% of parking charges, with the other 50% going to ASDA. According to 'The Grocer' ASDA generate a portion of the 'fines' it receives from misuse of disabled/parent child bays to Motability, totaling £68,400 last year. It is not known what they do with the 'fines' it receives for overstays. The donation is likely to be less in the future. Smart Parking have poached Ben Jonson from ParkingEye, and are moving towards the ParkingEye model. This means they are getting rid of wardens on the ground and becoming more reliant on ANPR. Of course, ANPR cannot detect disabled bay and parent/child misuse so these amounts will dwindle. Currently ASDA retain the right to cancel any charge but apparently Ben Jonson wants to do away with this because it is losing too much money. Although ASDA are resisting this, apparently Ben has played the strategic card and gone over their head straight to Walmart in an attempt to renegotiate the contract. If this is correct, ASDA customers can expect a far less sympathetic attitude to parking in the future. Perhaps ASDA should talk to Somerfield and B&Q to find what to expect next (clue - fewer customers). Ben's role may well be to implement the ParkingEye model, ramp up PCNs, and inflate the value of the business for a possible sale. If so, he has already been successful with an increase in charges of over £1,000,000 in the last few months. The Prankster will keep a close eye on ASDA in the coming months to see if they like this new regime. The Prankster previously blogged about the signage at Liverpool Airport. Since the blog, the signage has been updated. Today's post examines the new signage at Liverpool John Lennon Airport, with grateful thanks to Esmerobbo who once again took photographs and made measurements. Vehicle Control Systems try and pretend that anyone who drives into the airport enters into a contract to pay them £100 if they stop on the airport roads. The Prankster's first observation is that the first sign and the repeater signs 50 yards down the road contain the name of Vehicle Control Systems, as do one added sign near the free drop off entrance and another on the roundabout as you leave the airport. As it is a general principle that you must know who you are contracting with it is the Prankster's view that only these signs can form a contract. A useful publication from the Department of Transport, 'Determination of x-height' is available at this link. It describes how font sizes are calculated on road signs. The first observation is that drivers must be able to read signs without moving their head more than 10% from the road. This is for safety reasons. Both the Independent Parking Committee and the British Parking Association agree with this in their respective code of practices. The road in question is a dual carriageway. There are now signs on both sides of the road. The DfT publication is silent on whether the driver can turn their head to the right as well as the left and whether this is a safe practice. The Prankster will therefore give the signage the benefit of the doubt and assume the 10 degree head angle can be to either side. This gives C = 3.40 x 5.7 = 19.38m. The sign can therefore only safely be read from around 20m away. Any closer and the head angle is not safe for driving. As the first sign is placed 4.5m from a T-junction, it can never safely be read. There are repeater signs around 50m from the junction, so these can be safely read. The next consideration is the number of words on the sign. DfT guidelines state that a sign should contain no more than 6 words or directions. This is the number that can be scanned safely in 4 seconds. Any more than that and the driver's eyes are off the road for too long. The sign contains 62 words, not including the small print at the bottom. This will take 23 seconds to read. The sign also contains several graphics, some of which also contain words. The only possible way to read the sign would be to stop on the road, but this will be a breach of the alleged contract. The final consideration is font size. The main 'NO STOPPING' is 11cm, the sub headings are 4cm and the main writing is 3.5cm. The small print disclosing the £100 charge is therefore 4cm high. The eyesight standards for driving are here. They require a driver to read a 8cm number plate at a distance of 20m. This translates into being able to read 4cm letters at 10m. The road has a 40mph speed limit. At 40mph a vehicle travels 18 meters a second. The font becomes readable at 20m away, and the sign is passed around one second later. Two seconds are needed for 'settle time' before any words can be read. The small print is therefore not readable; by the time the driver's eyes have settled, the sign has been passed. There also remains the impossible conundrum that to drive safely the driver must stop reading the sign at a distance of 19.38m, but can only read the signs once they get 10m away. Thus, the signs are never safely readable. The actual size of the biggest uppercase letter is 11cm. Therefore the biggest font is less than 1/2 of the required size. The font hiding the parking charge is a tiny 4cm in size. This is about 1/5 of the required size. The biggest font is only readable once the vehicle is too close for the driver to safely turn their head. The biggest font is only readable for 1 second by a driver with legal eyesight travelling at the speed limit. In The Prankster's opinion, there is no possibility these signs can ever be said to form a contract with the driver, and the signs actually tempt drivers into unsafe driving practices, by making them turn their head too far from the road, and keeping their attention off the road for too long. The Prankster considers that VCS should have consulted with him regarding the signage. He would have told them where to put it. Instead, they have forked out a load of money for no benefit. This week VCS chickened out of a court case regarding Liverpool Airport, despite the fact that the barristers used by the Independent Appeals Service have regularly argued that deficient signage like this can form a contract. The Prankster will wait and see whether they go all the way with a case with this new signage. HHJ Moloney's judgment has now been overturned in the court of appeal. The Prankster welcomes the Court of Appeal decision which provided much needed clarity on the issue. The judgment sets a precedent as it now becomes case law and will be referred to by other Courts in matters of a similar nature. However, in some cases, everything will still be as clear as mud. The BPA has issued the following press release. The British Parking Association (BPA) has terminated the membership of ANPR Limited with immediate effect. Following investigations arising from complaints by motorists, BPA Officers awarded 16 Sanction Points covering multiple Code of Practice breaches including failing to follow agreed procedures in handling motorist appeals and failing to live up to BPA customer service requirements. If an operator receives 12 or more Sanction Points in a 12-month period, their case is referred to the BPA Professional Conduct Panel who will review all the evidence. In this instance the panel concluded that the membership of ANPR Ltd should be terminated. This termination means that ANPR Limited's ability to request vehicle keeper details from the DVLA will cease. The BPA is committed to encouraging and developing the highest standards of professional conduct and ethics within its membership. The BPA Code of Professional Conduct sets out the standards expected of those working in the profession and all BPA members commit to the code when they join the association. Unfortunately, ANPR Limited was unable to meet these standards. The company must remove all references to the BPA and the Approved Operator Scheme (AOS) from all its business transactions, including signage in car parks they manage. 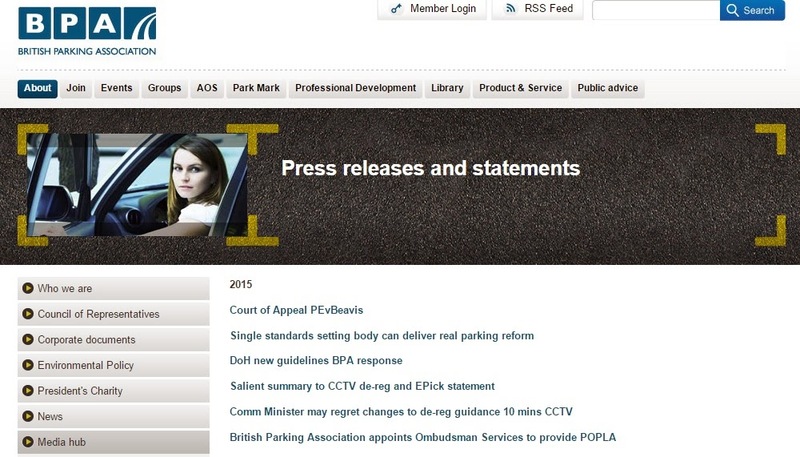 The ANPR news page gives some insight into the feud between ANPR Ltd and the BPA. As ANPR Ltd refused to put the BPA logo on their signage, this part of 'removing references' will be relatively easy. The Prankster has assisted many motorists who fell foul of ANPR's unusual interpretation of BPA customer service requirements. He is continuing to assist motorists who are still being pursued by ANPR Ltd. The Prankster understands Preston Council may have a number of car parks managed by ANPR and wonders what the council will do now there is no apparent way to manage them. ANPR Ltd will presumably now attempt to obtain keeper details on behalf of landowners, using the 'Proserve' 'trespass' model. This entire model comes under judicial review on (apparently) 6 May 2015. 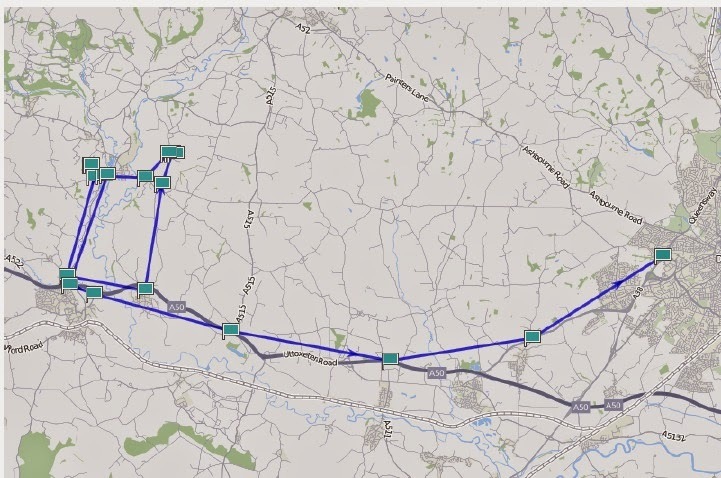 However, while Proserve attempt to demonstrate a landowner loss by invoicing the landowner, ANPR Ltd do not do this, which does seem, in the absence of other information, that they are doomed to fail. 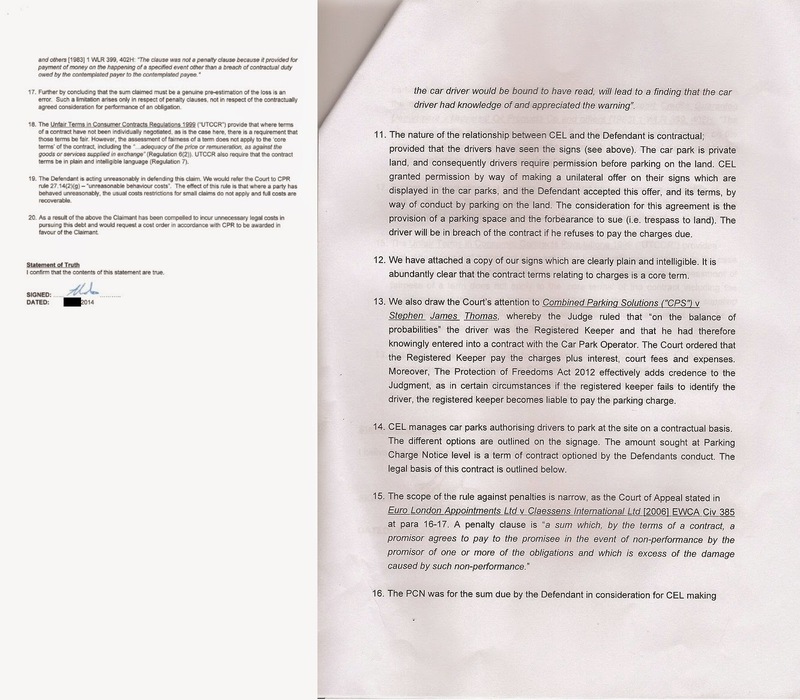 In an upcoming hearing the defendant sent their witness statement to Court along with a short covering letter asking for the Court's comments regarding 'Shwarts' signing the Statement of Truth, and including a copy of the e-mail they received from the SRA detailing their investigations into 'Shwarts'. This prompted the Court to write to DEAL ordering full details of the solicitor; they also requested DEAL issue an amended particulars of claim specifying any Notice of Assignment. DEAL failed to comply by the specified date and the Claim has been struck out. 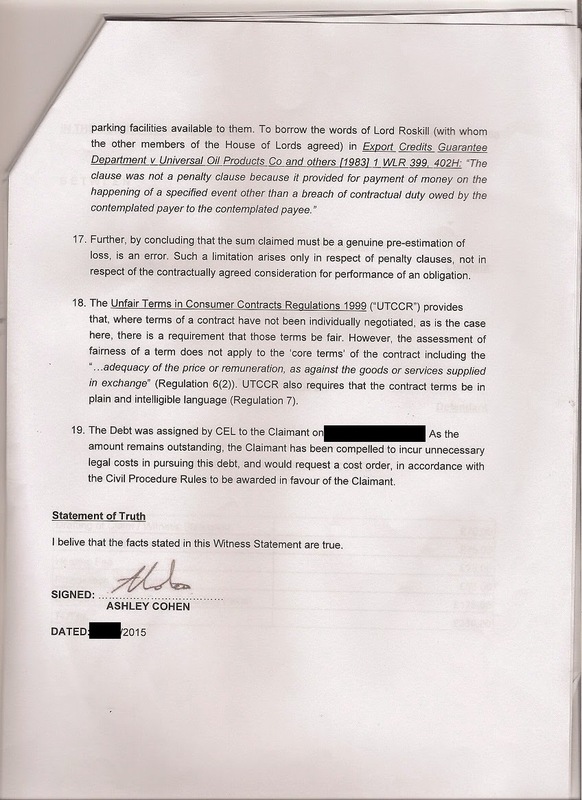 The defendant also received DEAL's letter detailed in The Prankster's blog this week, with the 'generic' witness statement signed by Ashley Cohen and with a note of further costs of £330. The Prankster considers claiming it cost large amounts of money to draft the witness statement to be a potential fraud and would like to submit as much evidence as possible to the authorities. Please could anyone who has received a note of further costs and a copy of Ashley Cohen's witness statement add their evidence to the pile! You can do this by emailing a copy to prankster@parking-prankster.com together with permission to forward this to the authorities and either an address or email the authorities can use to get back in touch to verify the information. 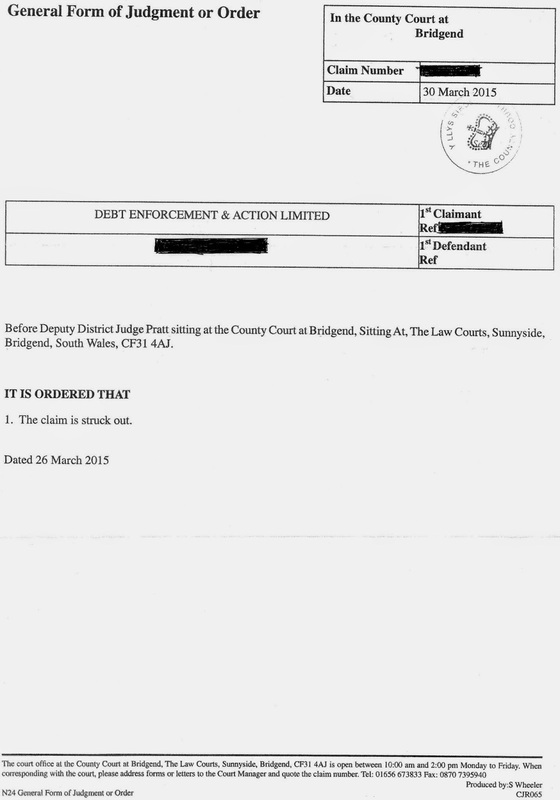 Is Ashley Cohen of Civil Enforcement Limited committing fraud or perjury? 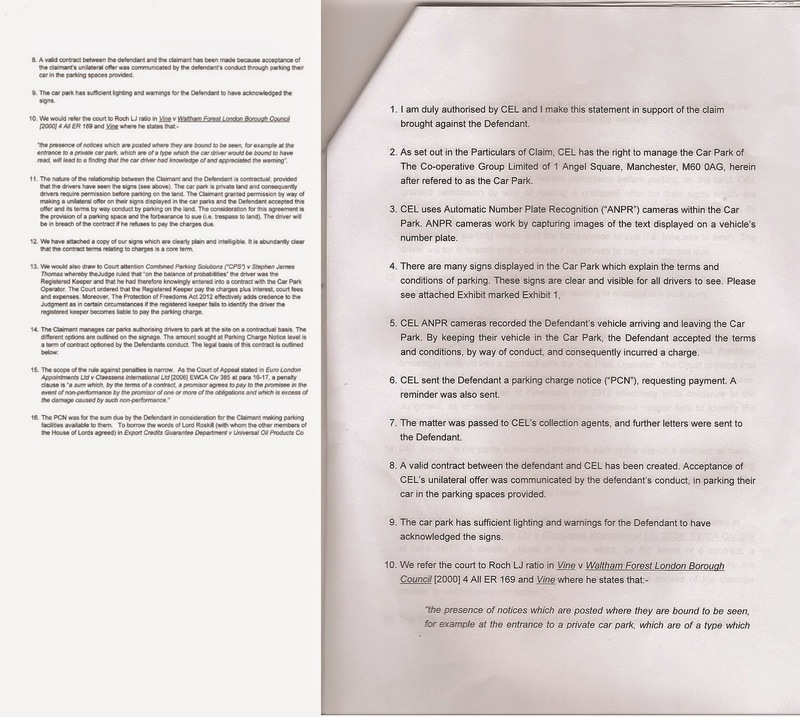 The Parking Prankster has a collection of similar letters and witness statements from court cases involving CEL and DEAL. 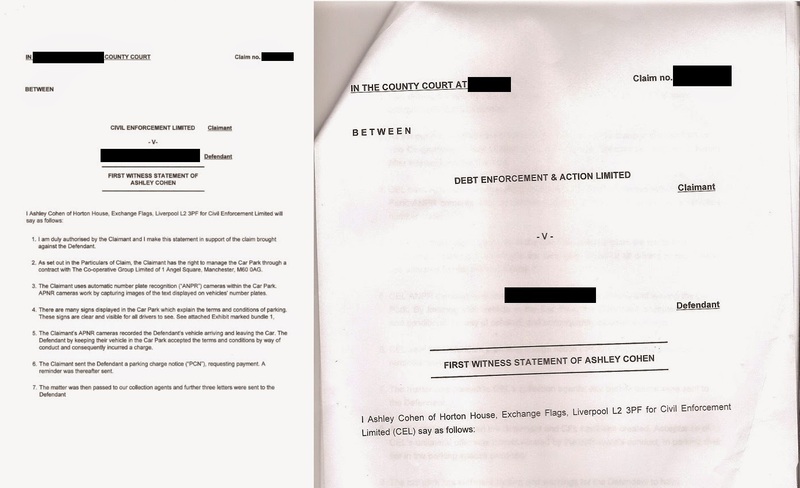 Apart from a few minor differences, the two witness statements signed by Ashley Cohen are almost word for word identical. A more detailed examination reveals they contain nothing whatsoever specific to the particular cases - no dates, registrations, car park locations, or in fact anything whatsoever which can be used to distinguish the case from any other, apart from page 1 which lists the defendant name and claim number, and the last page which contains the date the witness statement was signed. Further examination of the Prankster's records reveals more of these identical copies. 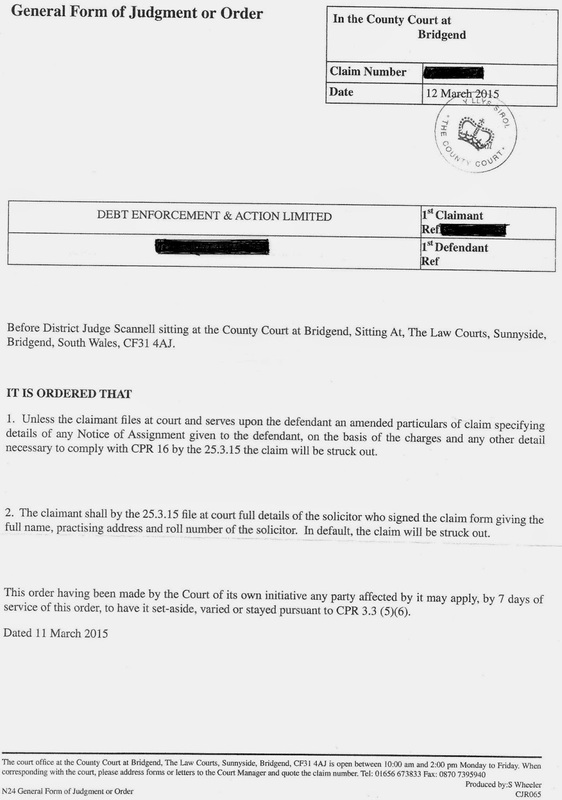 The original claim was for £215 (including court issuing fees). We have also incurred legal costs of an additional £115 for drafting the Witness Statement and general handling of this file. The £115 is therefore comprised of the £70 for drafting the witness statement and £45 for file handling. Given the identical nature of a huge number of witness statements The Prankster therefore wonders whether Ashley Cohen did incur £70 each time this identical witness statement was 'drafted'. If he did not, The Prankster wonders whether it is fraud to ask the court for this amount. If it turns out the £70 was not incurred and an officer from Civil Enforcement or DEAL were to state in court that it were, then this would be perjury. However, as nobody from the claimant's side seem to ever turn up at an actual hearing, The Prankster accepts that perjury may not have occurred. The Prankster notes that charges such as 'drafting of witness statement', 'general file attendance' and 'preparation for hearing' are simply not applicable in the small claims court and no judge would award these except in cases of unreasonable behaviour. The Prankster also notes that travel costs, while allowable, have to be incurred. As the claimants do not ever turn up in court, these appear to be totally fictional. In the few cases where they send a solicitor or barrister in their place, the courts generally take the view that local solicitors/barristers are available to all courts and so travel costs would need to be justified. This therefore appears to be an attempt to bully defendants who have little knowledge of the legal system into settling the case by appearing to escalate costs. The Prankster wonders when this flagrant abuse of the court system will stop. 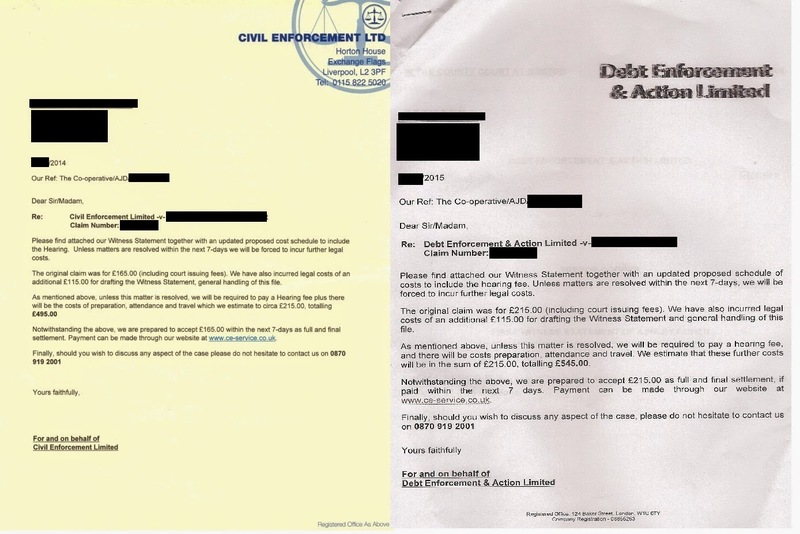 It appears that in the ongoing criminal case against Civil Enforcement Limited, both Ashley Cohen and Gary Wayne were named in open court and have had court papers sent to them. The Prankster does not know in what context but it does now appear feasible they are 'controlling minds' of CEL, DEAL, or both. The Prankster therefore calls on both of them to either admit whether they are foolish enough to pay somebody £70 to draft identical witness statements time after time, or to admit they were lying, and these costs were not actually incurred. The British Parking Association have issued the following press release regarding the Beavis case. The British Parking Association (BPA) welcomes the Court of Appeal decision which provided much needed clarity on the issue of private parking charges. The judgement sets a precedent as it now becomes case law and will be referred to by other Courts in matters of a similar nature. One aspect of the BPA’s work is self-regulating the management of parking on private land. We have been collaborating with Government on behalf of the entire parking sector and in the interests of consumers since 2007 when we launched our Approved Operators Scheme (AOS) which became the model for Accredited Trade Associations (ATA). Patrick Troy, Chief Executive of the BPA said: “Clarity is good, but what would be better is a single standard setting body with an independent scrutiny board, which will deliver a single code of practice and a single independent appeals service for consumers. The BPA supports competition but not at the expense of standards, which encourages a race to the bottom, or in confusing the motorist by offering different appeals services of varying quality. By establishing POPLA in 2012, by agreement with Government, the BPA led the way in delivering independent redress for the consumer. The Government is confusing matters by allowing proliferation of standard setting and appeals bodies. The BPA recently appointed The Ombudsman Services to succeed London Councils as the service provider for POPLA from 1st October 2015. The Independent Scrutiny Board for Parking Appeals (ISPA) will continue to scrutinise POPLA to ensure that the service they deliver continues to be independent and be seen to be independent. Since POPLA’s launch by the BPA on October 1st 2012, over 60,000 appeals have been considered. There has not been one instance where a BPA operator has refused to accept a POPLA decision. Although the press release seems to imply the BPA know the decision on the Beavis case, it provides no useful information. On the other hand, with Patrick Troy involved, that might just be par for the course. The other alternative is that someone pressed the release button too early. This may be because they have jumped ship to the IPC - but so far they are not on the list there. The other options are that they have resigned or been suspended. If they have resigned then their ability to get keeper data from the DVLA will be severely limited. They can try the 'Proserve' model, but this is currently under judicial review.